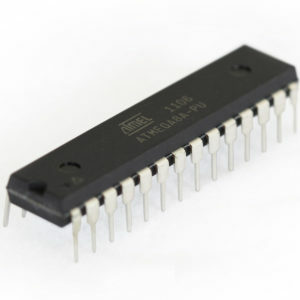 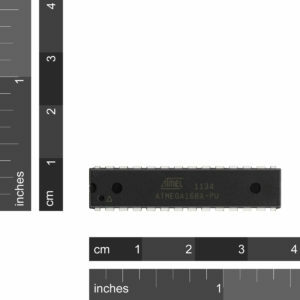 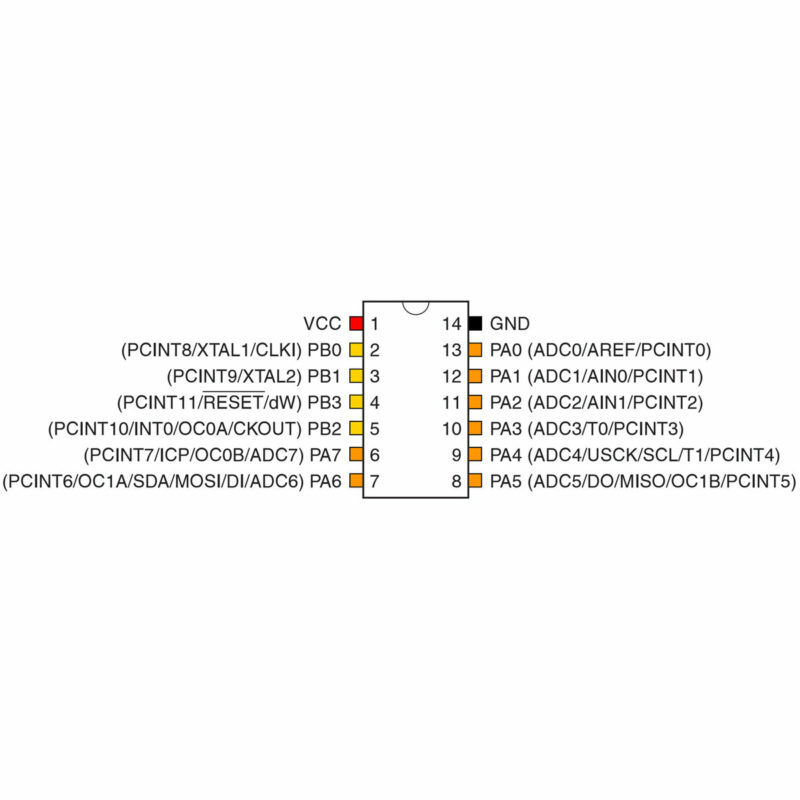 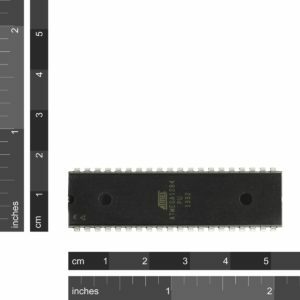 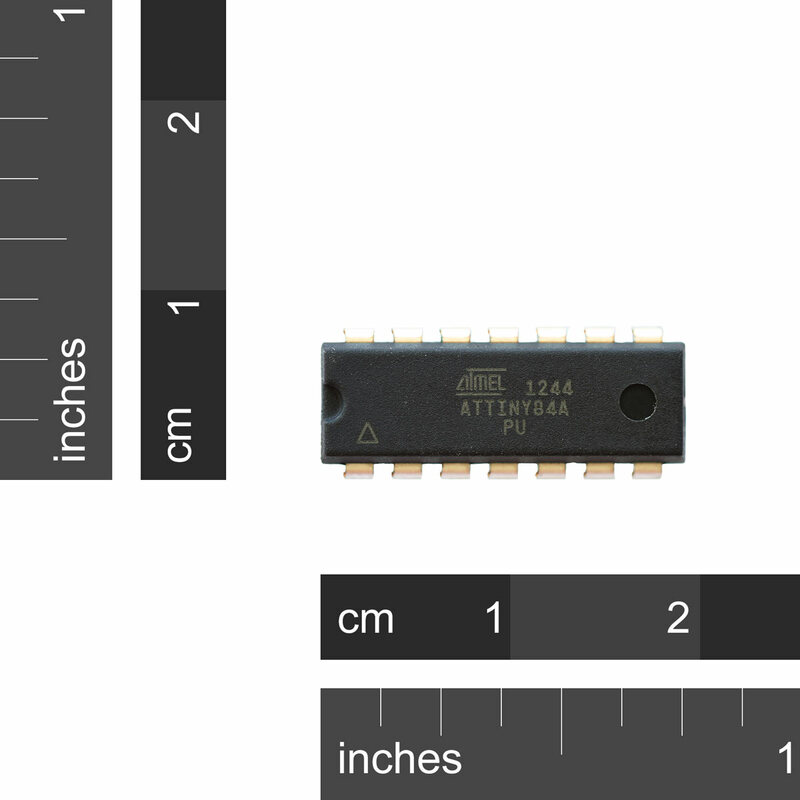 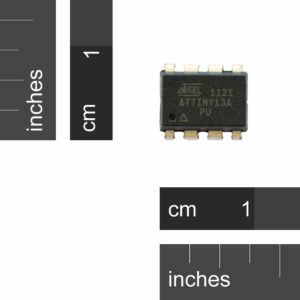 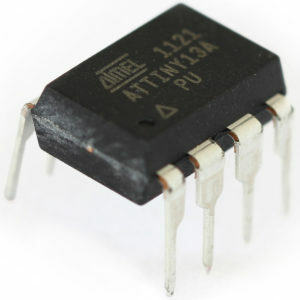 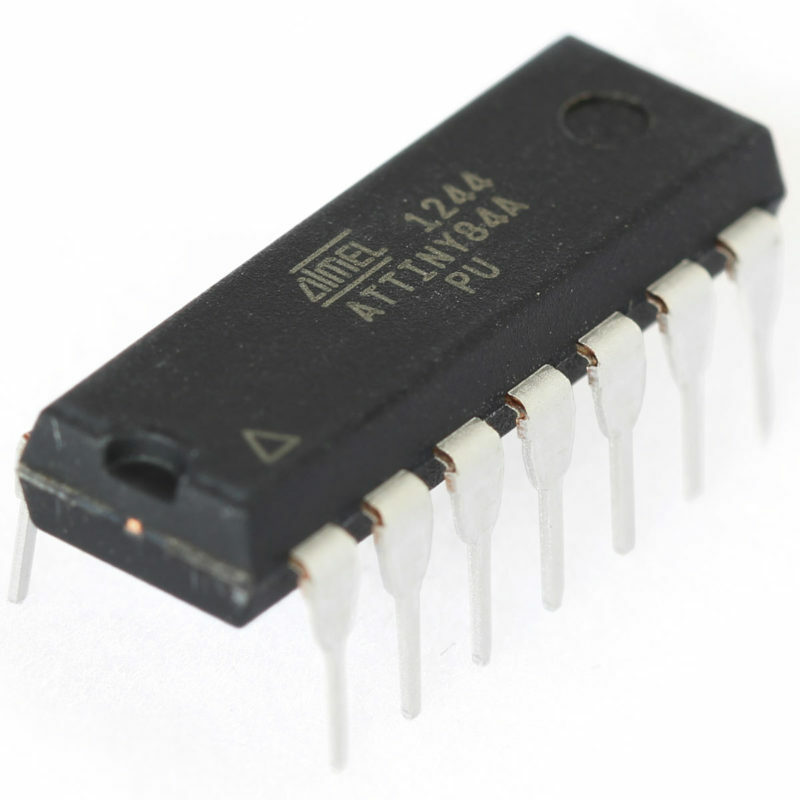 SKU: IC-ATTINY84A-PU Category: Microcontrollers Brand: ATMEL. 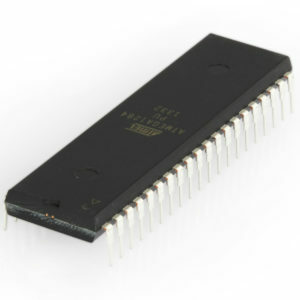 The high-performance, Atmel® picoPower® 8-bit AVR® RISC-based microcontroller combines 8KB ISP flash memory, 512-Byte EEPROM, 512-Byte SRAM, 12 general purpose I/O lines, 32 general purpose working registers, an 2 timers/counters (8-bit/16-bit) with two PWM channels each, internal and external interrupts, 8-channel 10-bit A/D converter, programmable gain stage (1x, 20x) for 12 differential ADC channel pairs, programmable watchdog timer with internal oscillator, internal calibrated oscillator, and four software selectable power saving modes. 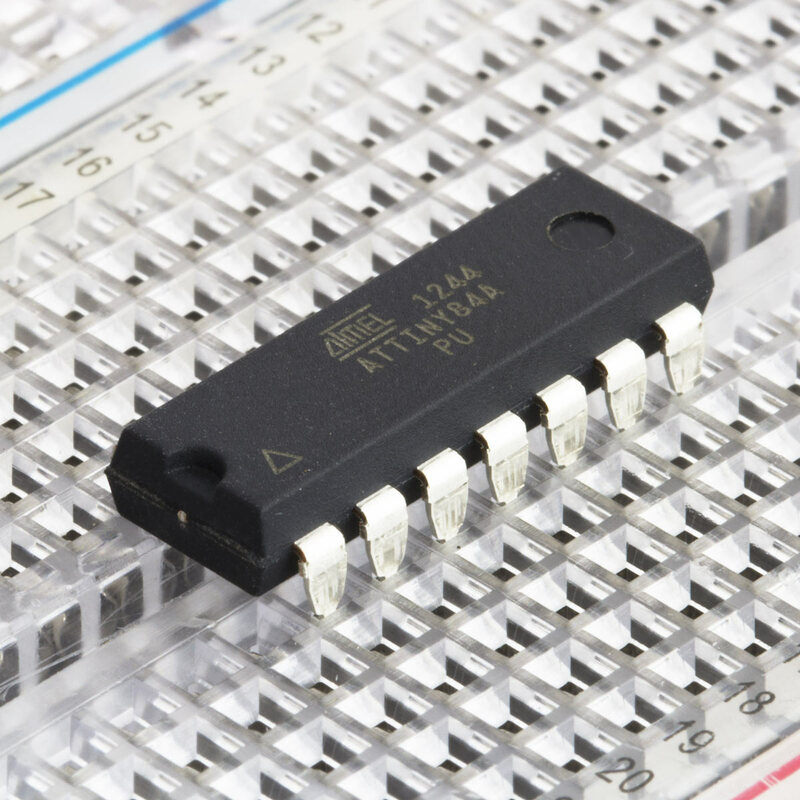 The device operates betweeb 1.8-5.5 volts.